Today the gang was back together for milking except for my kids. 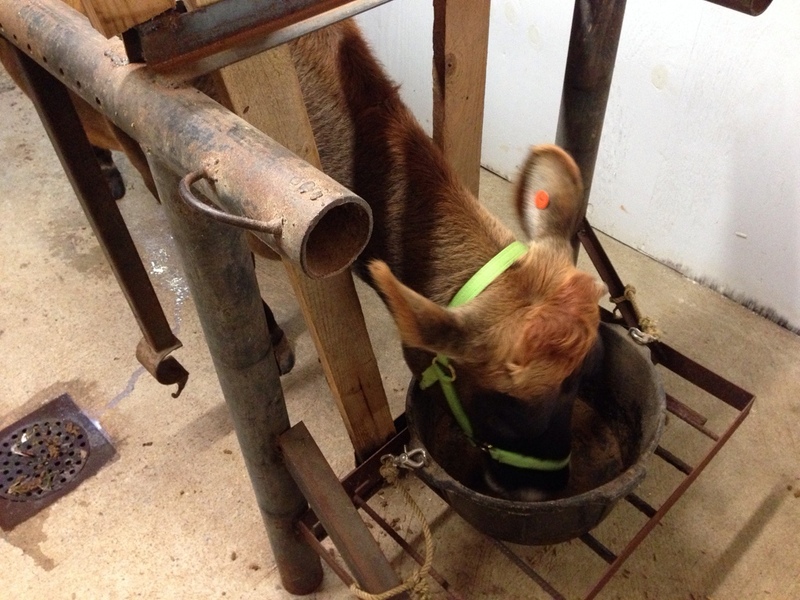 Here you see Spunky with her head in the bucket slurping up the crumbs. Again things got a little smoother and Spunky behaved a bit better. She is getting calmer each milking and I think a few more days and she will be settled into the routine. What I am looking forward to is when she is at the fence waiting for us, ready to go. The ninja calf is still a pain in the rear. Bolting at any opportunity and leaving mom high and dry. 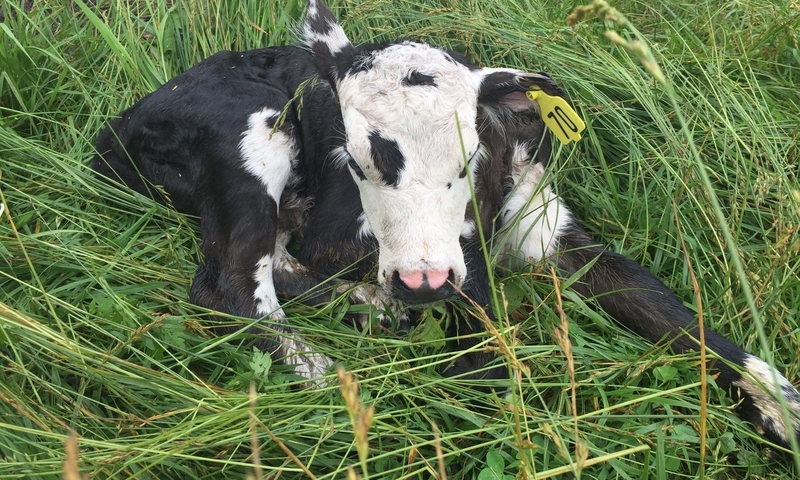 He will stay on the farm as long as he is nursing. After that he is going to the sale barn I think. We had a good haul yesterday from the different markets so the pigs got their fill and the cows received a truck load of produce as well. They were a bit lackluster eating because they had a belly full of grass but Benjamin must have eaten 20 tomatoes out of my hand. He really is a good bull. Despite the warm days the grass really isn’t doing much. I think I have another week of grazing before we start on hay. I brought a load of 17 bales of hay home this weekend. Now I just need my tractor out of the shop so I can handle the bales. Right now it’s just a random pile of hay sitting in the barn yard. Once I have the tractor back, I can set up everything orderly and be ready to start hauling hay out to the paddocks. Last year we fed in a round ring. This year it’s going to be out in the pasture so that all that fertility can be out where it is needed.